Adam Watson, one of our original founding members and a mainstay throughout the years, has collected further honours. In 2012, he collected two more prestigious awards; the Mountain Culture Award at the 2012 Fort William Mountain Festival and the Outdoor Writers & Photographers 2012 Golden Eagle Award. Adam has merited many awards over the recent years and these are two more to add to his collection. Adam Watson was born in 1930 in Turriff. He gained a First Class Bachelor's degree in Biology followed by a PhD on the "Annual Cycle of Rock Ptarmigan" both at the University of Aberdeen. In 1967, he was awarded a DSc for his scientific work. The two awards recognize different aspects of his subsequent career. The Fort William Mountain Culture Award recognizes his long and distinguished contribution to all aspects of mountaineering over many years. He was one of the early pioneers of ski mountaineering in Scotland and seconded Tom Patey when they climbed most of the rock routes in the Cairngorms during checks for the first SMC climbing guide there. In this respect, he must be equally guilty with Tom Patey for the notorious under-grading of most of Tom Patey's routes. He went on to author the SMC District Guide to the Cairngorms. He has travelled widely, climbing, skiing and walking across Europe, Scandinavia and North America. In 1971, he was Chief Expert witness at the Cairngorms Disaster Fatal Accident Inquiry and, over many years, independent scientific monitor at the three Cairngorms skiing areas. A true man of the mountains. The Outdoor Writers and Photographers award is based on his, probably unparalleled, contribution to the understanding of the flora and fauna of his native Scotland. 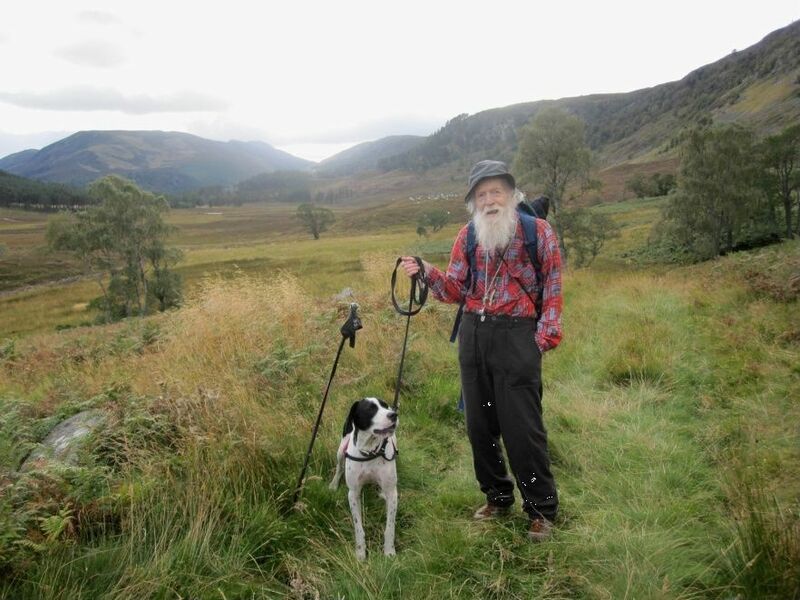 It recognizes that he has devoted his life to the study and protection of the Cairngorms. His research on the population biology, behaviour, habitats and environment of northern birds and mammals resulted in a vast academic and written work including 23 books, almost 300 scientific papers and nearly 200 technical reports. Again, a prodigious achievement. His contribution to both climbing development and mountain research has been immense. We congratulate him on his achievements.